SureCall Fusion5X cell phone signal booster kit increases cellular coverage up to 15,000 sq. ft. for all carriers voice, text and 4G LTE data signals. 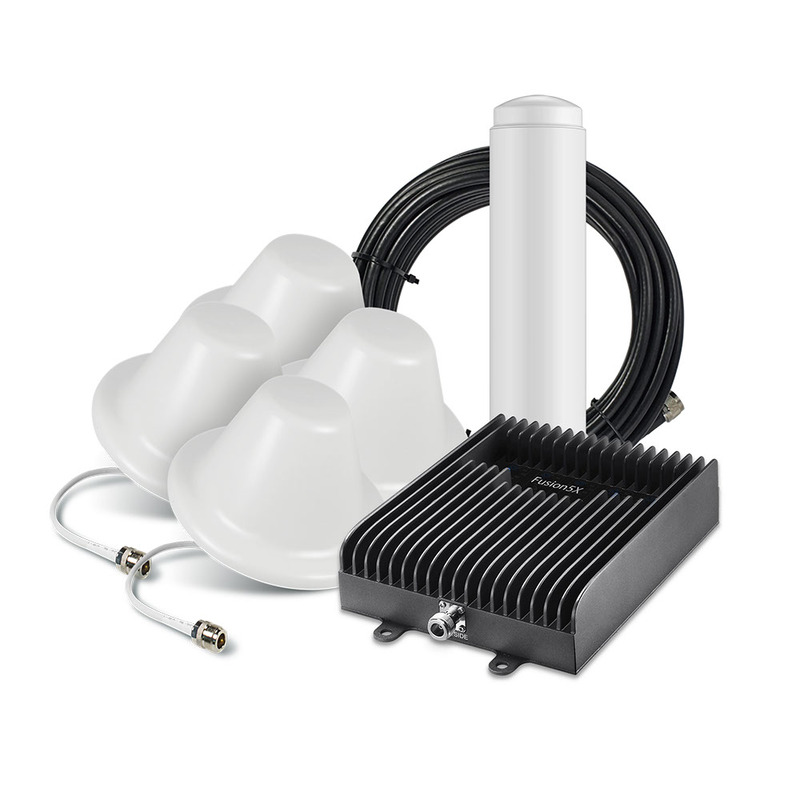 Kit includes 75 ft. and four 50 ft. lengths of SureCall 400 low loss coax cable, 4-way splitter w/ connecting cable, outdoor Omni antenna and four indoor dome antennas. The SureCall Fusion5X amplifies talk & text, and 3G/4G services for all major carrier networks. • All US carriers (3G/4G): AT&T, Verizon, Sprint, T-Mobile, US Cellular, Straight Talk, Boost Mobile, MetroPCS, etc.